1. Admire the fall foliage. Chestnut Hill’s Morris Arboretum is a wonderland of fall foliage, internationally known for its collection of rare and magnificent trees. Explore the 92-acre landscape any day, or visit during special festivities including an Autumnal Equinox celebration on September 3 and Fall Family Weekend October 6-7. Keep admiring autumn splendor while hiking through Wissahickon Valley Park (don’t miss dining trailside at Valley Green Inn), and shopping along tree-lined Germantown Avenue. 2. Explore the incredible art scene. From classic to contemporary, admire one-of-a-kind works in galleries and institutions all over the Hill. Stop in Woodmere Art Museum to experience a fine regional art collection, then head to “Gallery Row” on the Avenue to buy a handcrafted masterpiece for your home (here are 15 can’t-miss stops for arts and antiques). Plus, mark your calendar for September 30, when the annual Chestnut Hill Fall for the Arts Festival transforms the village into an outdoor arts and crafts marketplace! 3. Shop for sweater weather. Refresh your autumn wardrobe at local fashion boutiques throughout the charming cobblestoned business district. STYLE CAMP and ellelauri are two of the many chic shops offering stylish staples for women, while Greene Street is a popular stop for modern menswear. Outfit your little fashionistas, from babies to youth, at whimsical children’s store Villavillekula. 4. Indulge in seasonal flavors. Fall brings delicious new dishes to Chestnut Hill’s restaurants, which feature the season’s produce in everything from global cuisine to classic comfort food. Grab a pumpkin pie sticky bun from Barry’s Buns, one of the tasty options in the Market at the Fareway, or eat your way down the Avenue on the Chew Philly Chestnut Hill Food Tour. You can also take advantage of food and drink specials at local restaurants during First Wednesdays on the Hill. 5. Kickstart your holiday celebration. Kick off your holiday season and support local businesses on Small Business Saturday with carolers and Santa on festive Germantown Avenue. The holiday celebrations continue into the evenings on Wednesdays with Stag & Doe Nights, and this year there are four nights to celebrate, starting November 28! 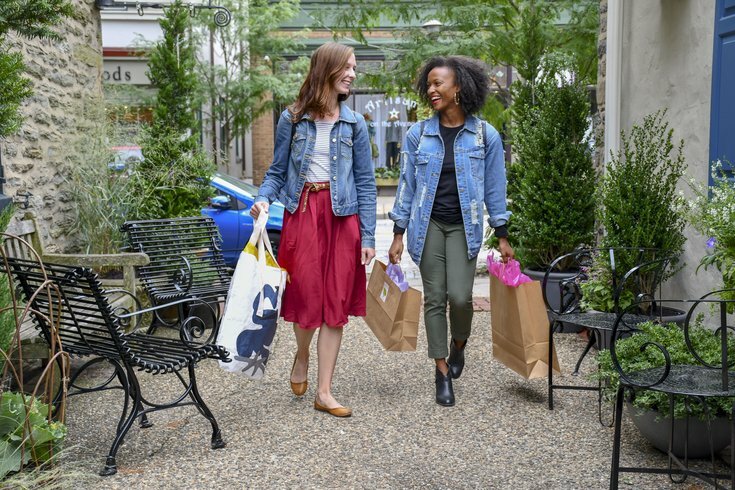 Enjoy extended store hours (until 9 pm) along with holiday sales and promotions throughout the Chestnut Hill shopping district. Eat, shop, and make merry during the holiday season with Chestnut Hill’s Holidays on the Hill. Plan your autumn outings in Chestnut Hill at chestnuthillpa.com.